Click to download the following resources. Figure 6.22 On the left: an image that has had a scanner profile assigned to it. On the right: the same image after converting from the scanner space to sRGB. 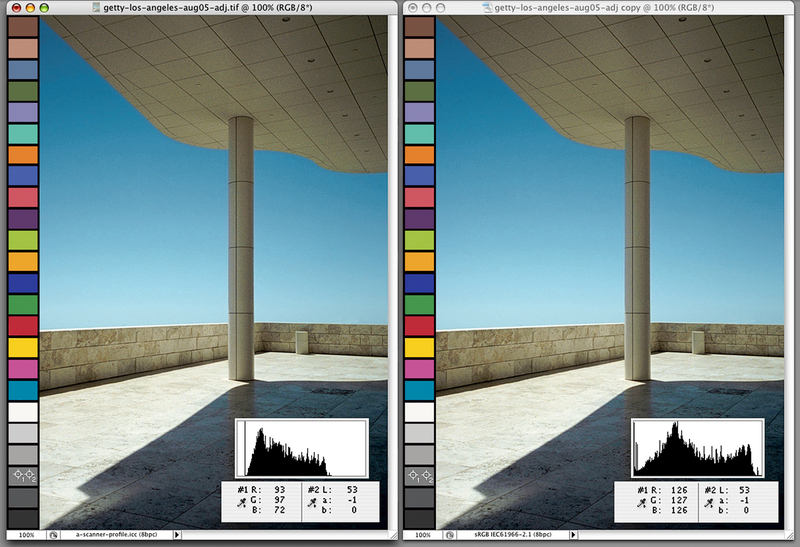 The original and resulting changes to the histogram, and RGB code values and underlying Lab values from an 18% middle gray patch are also shown.